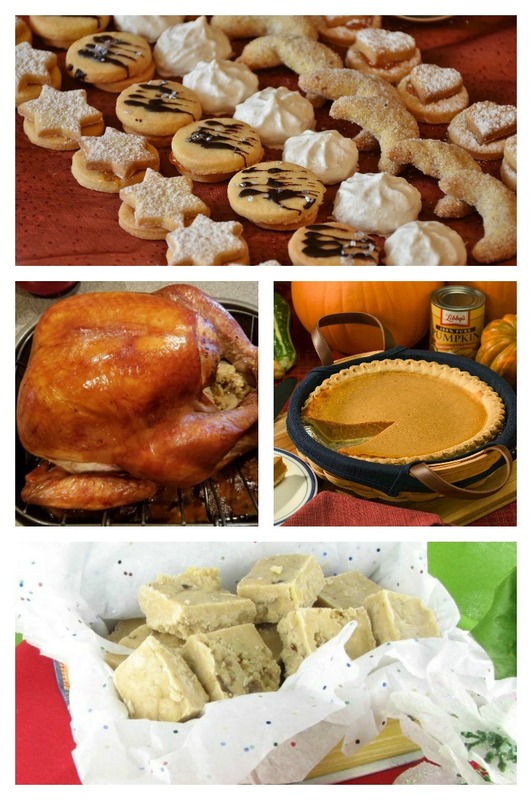 November National Days - Cookies Thanksgiving, Chocolates & More! 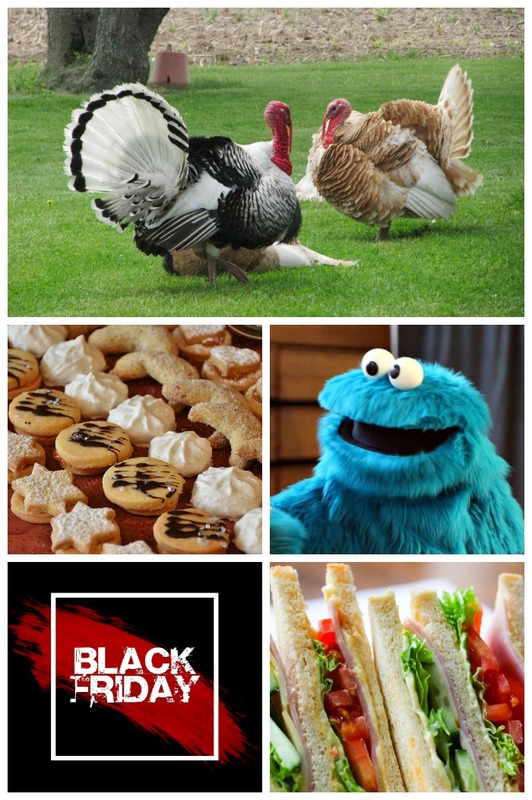 November National Days – Thanksgiving, Cookies, Chocolates and More! This list of November National Days is a day-by day look at the month to find out how to celebrate your favorite national day with food and drink ideas, and (especially this month) lots of holiday projects. Each time I write a post about a new and fun national day for the month of November on the blog, I add new links to the list below, to give you additional ideas for ways to celebrate these days. November is the eleventh month of the year in our calendar. In the Northern Hemisphere, it marks the last month of the fall season, but in the Southern hemisphere it is associated with the end of spring. This month marks the beginning of several of our favorite holidays – Thanksgiving, Christmas, Hanukkah, Kwanzaa and New Year’s Eve. The end of the month features Thanksgiving, but this is just the beginning of many special days to come. The name of the month originated when the Roman lunar calendar was used, and the year started in March at harvest time. Then, November(novem) was considered the 9th month of the year. All that changed in 46 B.C. when the new Julian calendar was used, making January the first month and November the eleventh month in the calendar. November is National gratitude month, which is makes sense, since Thanksgiving is a day of gratitude. It is also National peanut butter lovers month, (I am a number one member!!) National Adopt a Senior Pet Month, and Sweet Potato Awareness month. But don’t stop at just these activities, with all these fun and offbeat holidays, there is more than just a day of eating and gratitude to celebrate this month. 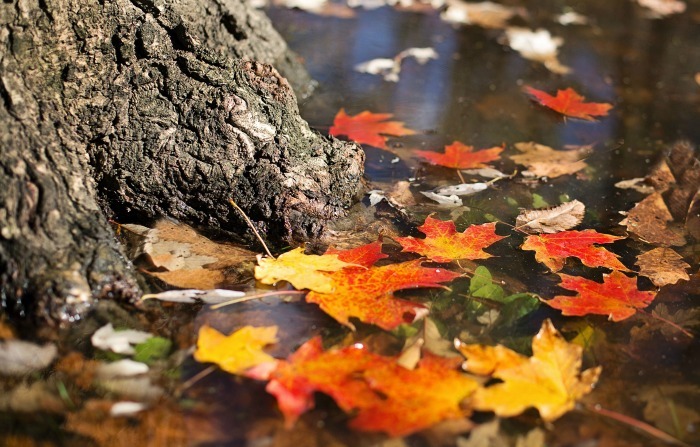 The month of November has arrived, so let’s catch up with a few facts about the last full month of fall. If you love gardening, the birth flower is chrysanthemum and the birthstones are topaz and citrine. Looking back in history, Abraham Lincoln gave the Gettysburg Address on November 19, 1863 and John F. Kennedy was assassinated on November 22, 1963. 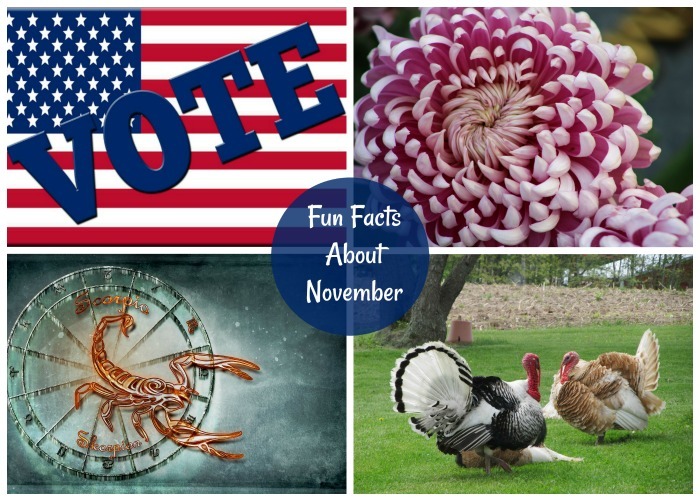 The US presidential Elections are held every November on the day after the first Monday. Mid Term elections are held two years later on the same day. The calendar below features a list of some of the national and international days in November, day by day. Some of these days have links to pages on my site where you can find more information or recipes to celebrate that interesting national day. I add to this page often with new links and fun facts about your favorite national day, so be sure to check back often for new ideas. 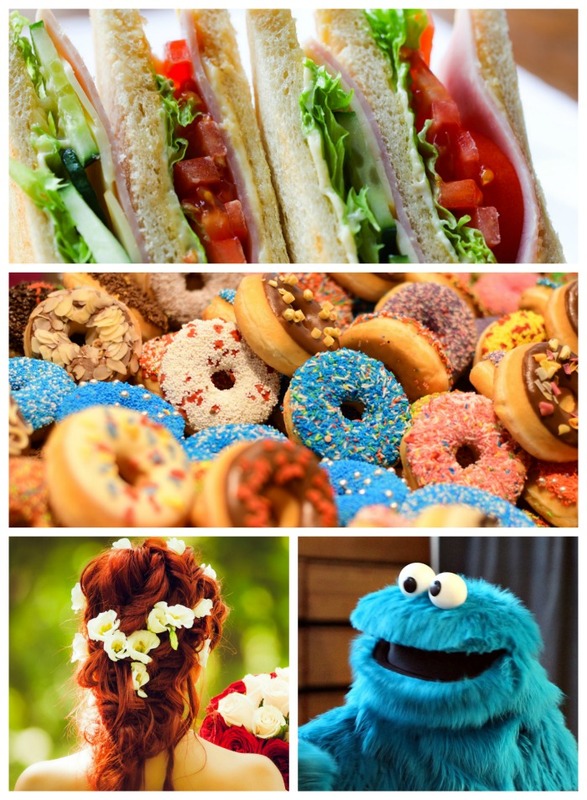 November is full of a month of fun food days like Calzone day, Pizza with the works day, and Deviled Eggs Day. It is also a time to celebrate Monopoly Day, Black Friday and Cyber Monday, if you love to shop. These national days take part in the first half of the month. Time to celebrate! Here we are at the half way mark for our list of National Days in November. Has your favorite national day been listed yet? Don’t give up. We have lots more fun in store. How about National Fast Food Day or National Cashew Day? Both are still to come! Would you like a reminder of this list of November National Days? 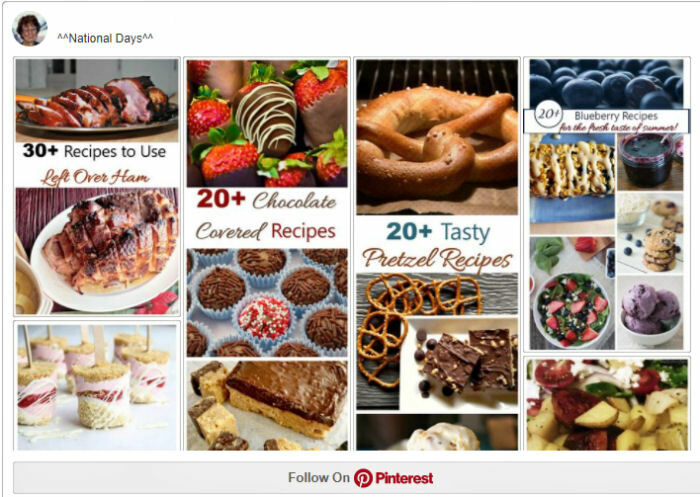 Just pin this image to one of your boards on Pinterest so that you can easily find it later. 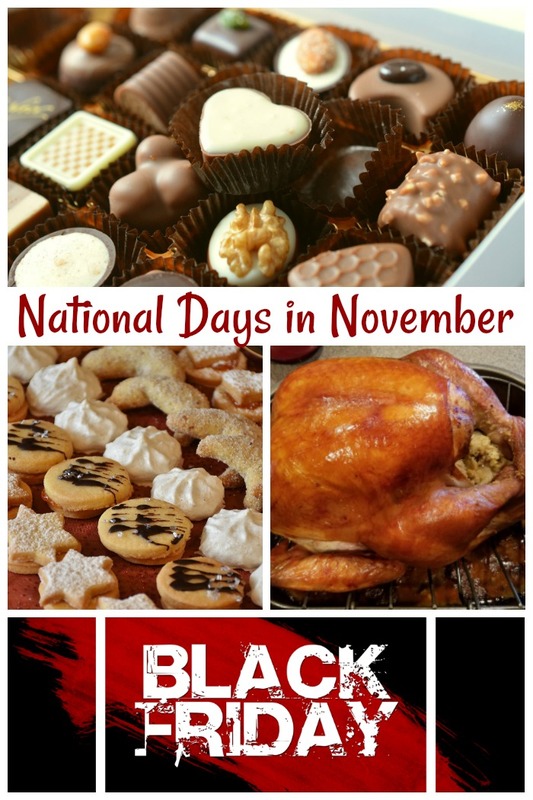 Which are your favorite of the November National days?